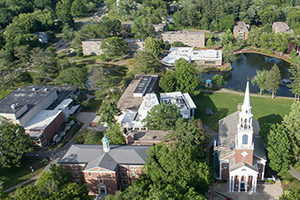 Wheaton College’s commitment to addressing issues of sexual assault and fostering a campus environment free from discrimination includes coordinated response to reports of misconduct; extensive training for staff and student leaders; education and awareness programs for the campus community; continual review and updates of policy and procedures; and the biennial symposium on Violence Against Women, established in 1983. The most recent campus-wide push involves a three-year, $300,000 grant the college was awarded in 2012 from the U.S. Department of Justice to develop programming that addresses sexual violence. Established a new, full-time director of Title IX compliance position in spring 2016 to oversee all aspects of the college’s compliance with federal law concerning gender-based discrimination, including sexual assault. Created and developed the Coordinated Community Response Team (CCRT) in 2013 to provide a survivor-centered, comprehensive, multidisciplinary approach to sexual and interpersonal violence through first response, ongoing support, prevention and education, and communication and collaboration. 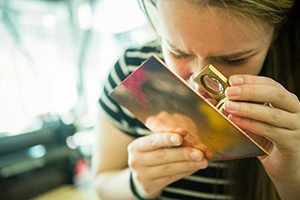 The CCRT connects leadership from across divisions of the college and members of the Norton community to better coordinate and support these efforts. 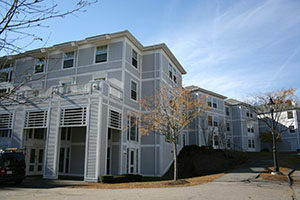 Further developed Wheaton’s mandatory prevention-and-education program for all new students, which was introduced in 2011. Additional educational programs are presented in the first two weeks of the semester and are facilitated in residence halls by the Residential Life staff and others in an effort to reinforce what was learned in orientation and to refresh upper-class student knowledge. 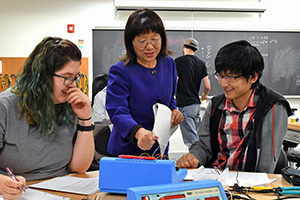 Upper class students participate in programming through student organizations, theme houses and visiting speakers. 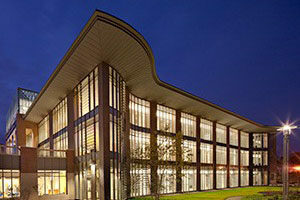 Many of the programs are created and implemented by students and student organizations. Created a bystander intervention program in fall 2012 to educate students on taking action to prevent sexual violence. The intervention initiative was developed in collaboration with the nationally respected Mentors in Violence Prevention (MVP) Program at Northeastern University, Vicki Banyard and Bringing in the Bystander at University of New Hampshire, and the Step Up program at University of Arizona. 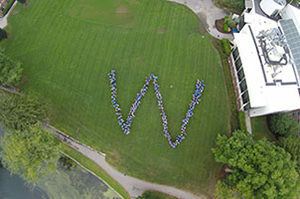 The bystander intervention program and a session led by Wheaton’s dean of students on community values, policy definitions, and procedure and response became mandatory for all incoming students in fall 2013. Introduced a new mobile app in fall 2015 that provides students with a direct line to campus Public Safety, allowing students to quickly and anonymously report tips as well as seek help. The free app, LiveSafe, can be installed on iPhone and Android mobile devices and is linked to Wheaton services and resources. Worked diligently to meet the educational needs of the student population, instituting a curriculum of varied programs. For example, each time the course “Violence Against Women” is taught our students engage in a campus-wide initiative to raise awareness of the issues associated with this type of violence in our community and beyond. In 2016, the course was part of the Wheaton Institute for Interdisciplinary Humanities. 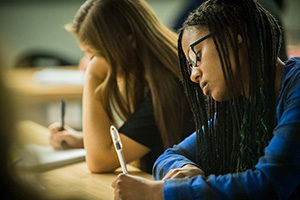 Provide annual training on bystander intervention, relevant topics related to sexual misconduct, dating violence, stalking, trauma informed response, and Wheaton policies and procedures, for upper class students, including resident advisors, preceptors and Wheaton Athletic Mentors. These trainings have been delivered annually since before 2010 and are assessed and updated each year. Conducted multiple joint training for Wheaton’s Public Safety staff and Norton Police officers annually since 2012. The college Public Safety director, Chief Chris Santiago, and Norton Police Chief Brian Clark lead a session on response protocols, and staff from New Hope and the Office of the Bristol County District Attorney lead training on the many complex aspects of sexual violence cases, including trauma informed investigations. Provided support and financial assistance for members of both Wheaton Public Safety and Norton Police Department to attend state-sponsored sexual assault investigator certification programs. 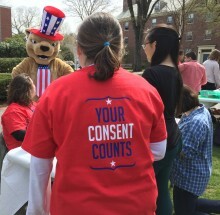 Held the first annual Consent Day event in spring 2015. Hosted nationally renowned speakers from the Date Safe Project, The Yellow Dress, Speak About It, and W. Scott Lewis, a partner with the National Center for Higher Education Risk Management. Since winter 2012 the Sexual Misconduct and Assault Resource Team (SMART) and New Hope has provided training for Residential Life staff, preceptors and members of the campus community who wish to serve as advocates. Developed and produced the play What Happens When, which explores issues surrounding sexual misconduct and assault. The play, which was first presented on campus in spring 2015, was an interdisciplinary project involving students, faculty and staff, and is being offered to colleges tackling the same issues nationwide. For the past two years, participated in the “It’s On Us” national campaign launched by the White House in 2014. Conducted the first Wheaton campus climate survey in spring 2015 to create data-informed programming, education and resources. This is what happens when an entire college community gathers together to address the complex problem of sexual assault and misconduct on campus. What Happens When is an original play, an educational approach and a pilot program that can be adopted by colleges and universities across the country. If you would like to get involved in the education and awareness efforts on campus and hear about upcoming events and activities, send an email to: smart@wheatoncollege.edu.